Actually dude vvvvv down there. Jap spec Supras 2jzgte are 280hp. Different cams and smaller turbos. 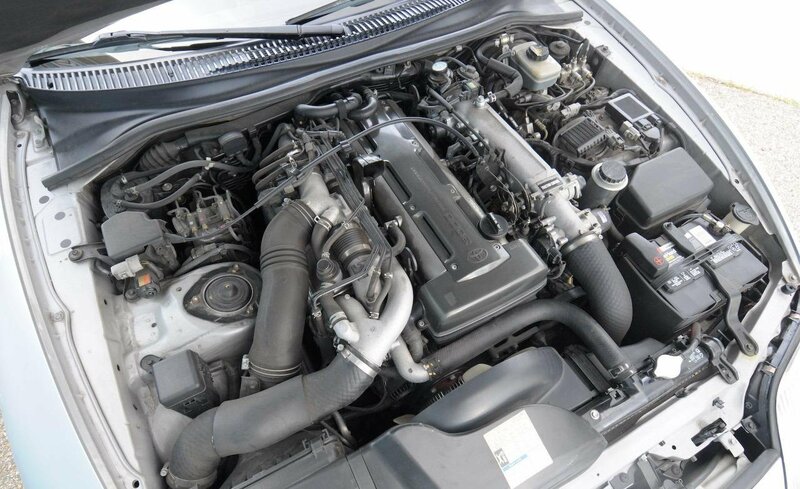 The comments regarding the imports from Japan having 280BHP are incorrect. They all came with the same engine and when dyno's they produced roughly 326bhp. That figure was a gentleman agreement in Japan to avoid a horsepower war. 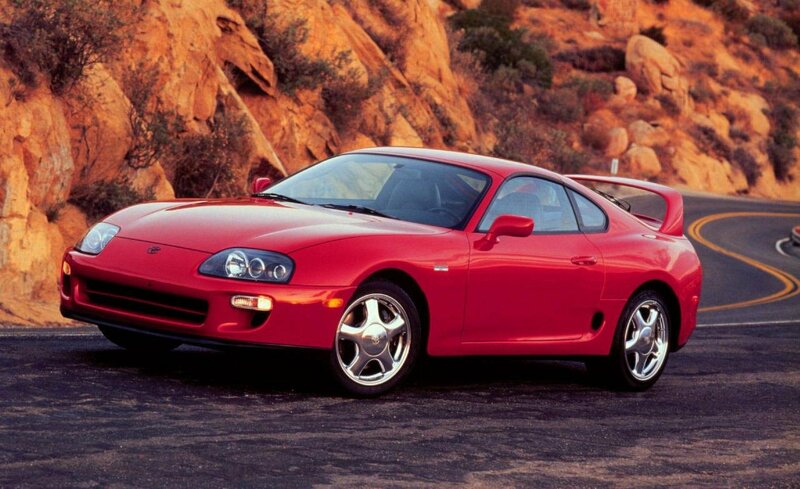 The Supra does have an Iconic design, and a popular engine, Retro version of this Gen would be perfect, I mean who doesn't like a good Supra? 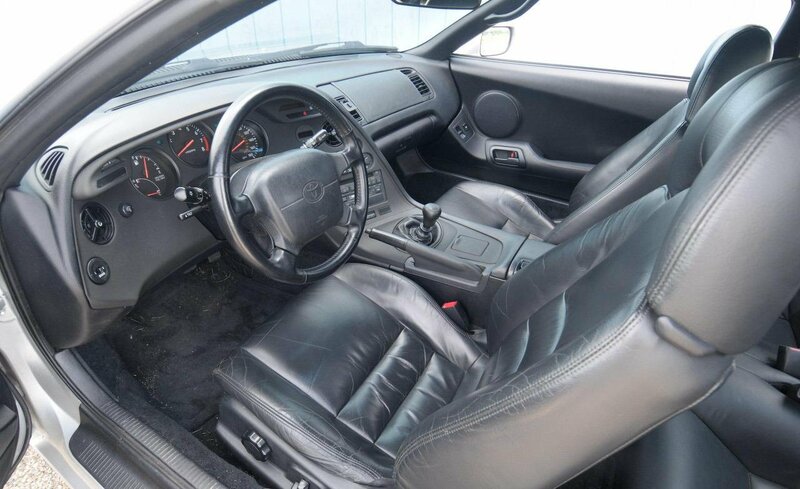 And no V6, Either Inline-6 or V8. No hybrid bullshite either. And I don't think it should be ment to keep up or embarrass a GT-R, If anything it should be on the level of the RC-F, 600Bhp is not what it should have, the 400Bhp+ range would be perfect, An M3/M4 GT 5.0, Carrera, Stingray fighter, Shouldn't be an overpowered over expensive Supercar. should be under 60k Usd if they ever make it again. I don't understand why, Theres a market for it, and people want it back. And the tuning market for Toyota is Gigantic. 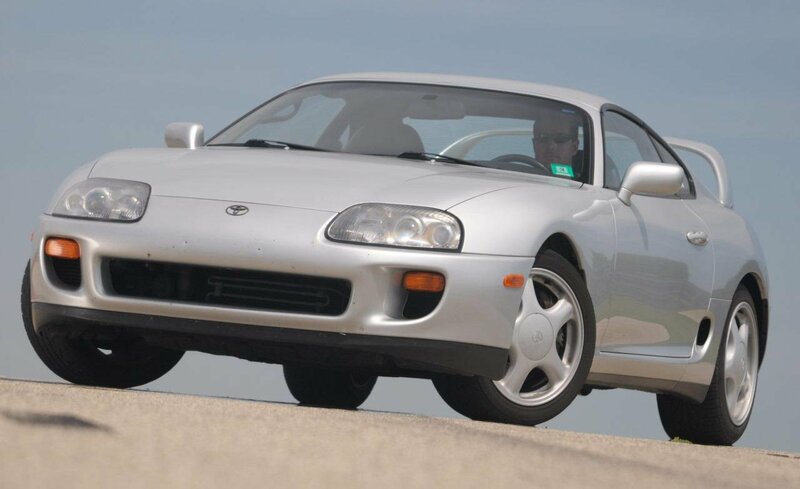 @ Fangio Man: You're right, I love the Supra, it's one of my all time favorite Japanese cars. I would like to see its successor fully gas powered, and be able to embarrass a Nissan GT-R.
"I'd want to see it with a 3.5 liter twin turbo V6 putting out around 600 horsepower." Would be a worthy successor in terms power, but I am not sure if it would do so in terms design. Supra's design is something really special. I'd want to see it with a 3.5 liter twin turbo V6 putting out around 600 horsepower. It can be exotic, Its not really a "Normal" car, I love a good Supra, And even here there is a Club full of tuned Supras dedicated to them. Japanese and French cars are the most common here, You do see a shite ton of Fords and Hyundais though. 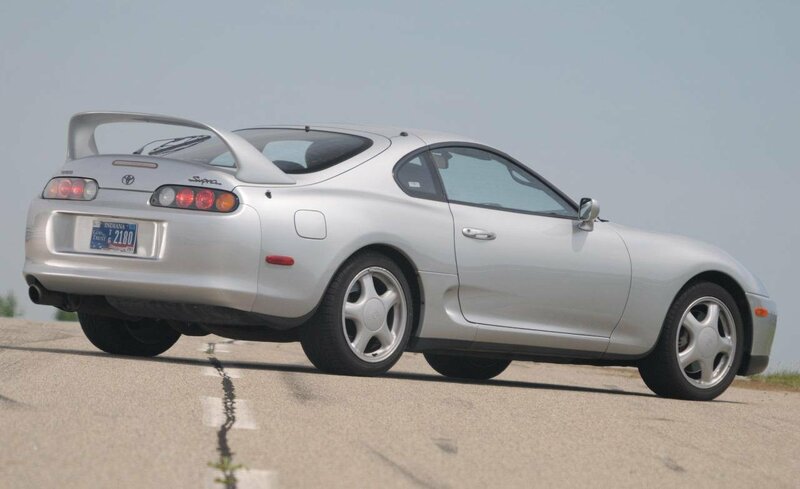 And I also agree if they did bring back the Supra I wouldn't want any Hybrid bullshite either, EIther give it a Inline-6 or V8, Or don't even bother. You are saying as if Supra is a very exotic car. I don't know about Britain, but here in Ukraine Supra of exactly this generation is quite a common sight. There is even a club of this model Supra alone in my city. Japanese are most common sportcars. Or was that just a statement of praising the Supra? Anyway, I sincerely hope the new Supra will be based on the outlandish FT-1 Concept and LFA, and will use anything above 6-cylinders and no hybrid BS. Man I saw one of these this morning, And STILL to this day it has great road presence. You can find good deals here for them, But man do they need to bring them back. Unfortunetly though, It prolly wouldn't be like it was back then. 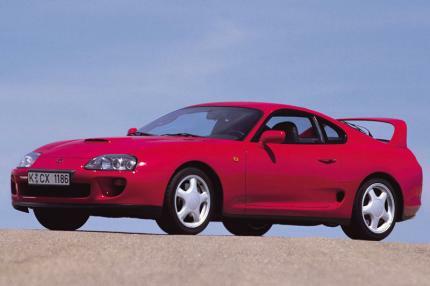 I've heard some rumors that Toyota will create the successor to the Supra in cooperation with BMW. I don't know if it's true, but Toyota and BMW are already dealing something about. I don't much support this decision, I think better they stay separate brands. Anyway, if they bring Supra back, that would be cool. But I suppose 650 horses is too much, 500 would be more than enough. Yeah, with only a few exceptions Toyota does make reliable, durable cars. Surprisingly I had never owned one until recently. My dad had used a Tercel for courier work and liked it a lot. My current favorite of course is the Mr2 Spyder. @ Viking: I've always championed Toyotas for their reliability, I have a personal account of a 20 year old Previa making a 700 mile trip from my house in Cedar Grove, Georgia to my uncle's house in Deleware stopping only at my aunt's house in Concord North Carolina so my uncle can drive it. The Supra is still my favorite Japanese car. @Shaggy I agree, they could just bring this back without changing anything except a bit more power. Styling and durability are both fine. The drivetrain is pretty much bullet proof, so it could easily be tuned for 500 hp (or maybe even 600 hp) without durability problems. 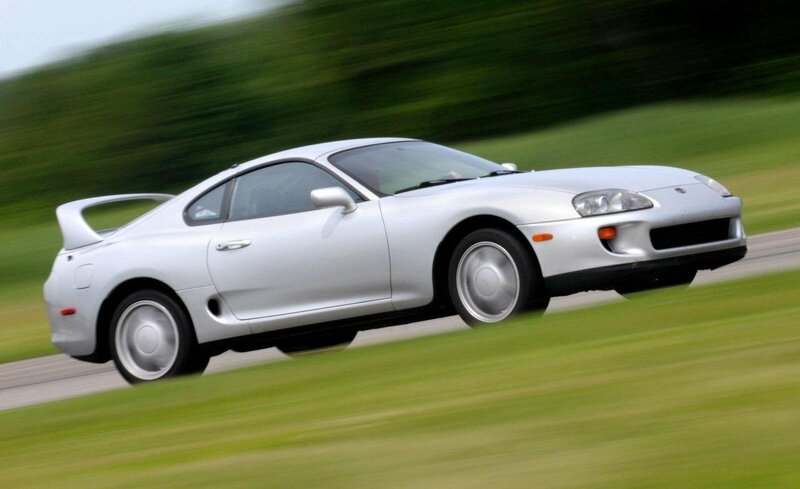 Oh, yeah, the Toyota Supra is my favorite Japanese car of all time, I love this car! 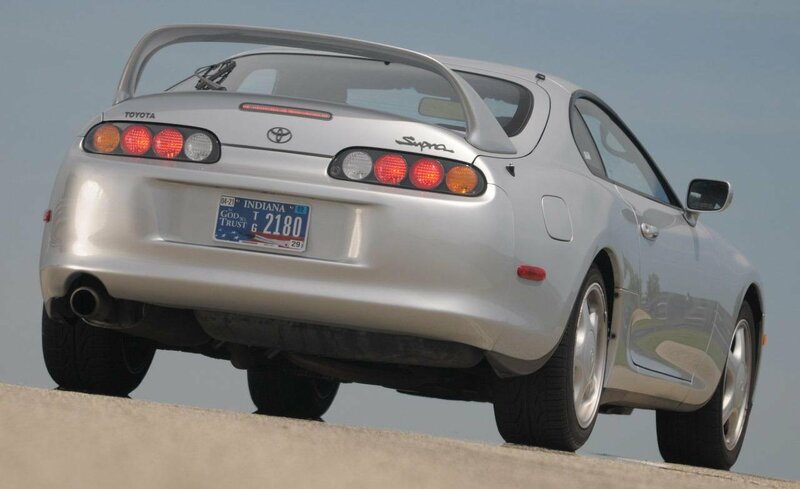 Supra has 13.788 sec 0-400m. The Uk-spec RZ TT can reach 60 in 4.6s, and comes with 326BHP, with a top speed limited to 155mph, capable of exceeding 180mph; the J-spec RZ TT reachs 60 in 5.1 and comes with 320bhp - limited to 155mph again, though able to reach 170mph. 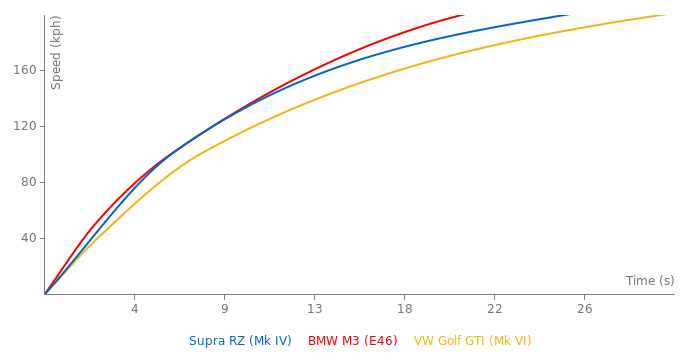 Mr2 Gts JDM rev 3+ is Rated 0-60 5.6 and is faster 0-60 stock to stock vs Rz 280ps supra so 4.9 seems funny, + 1700kg ??? At that point, it's just a number. Sure, 1000hp sounds cool but I bet even in 6th gear you would only have enough traction for 700rwhp. It sounds silly to me when people use the word "tuning" to describe anything more than wide-band, ignition timing, and that sort tuning. I know people use the term to describe extensive modifications, but it just sounds wrong to me. One of my favorites! Tuned it can reach 1000 hp, I saw that on YouTube. 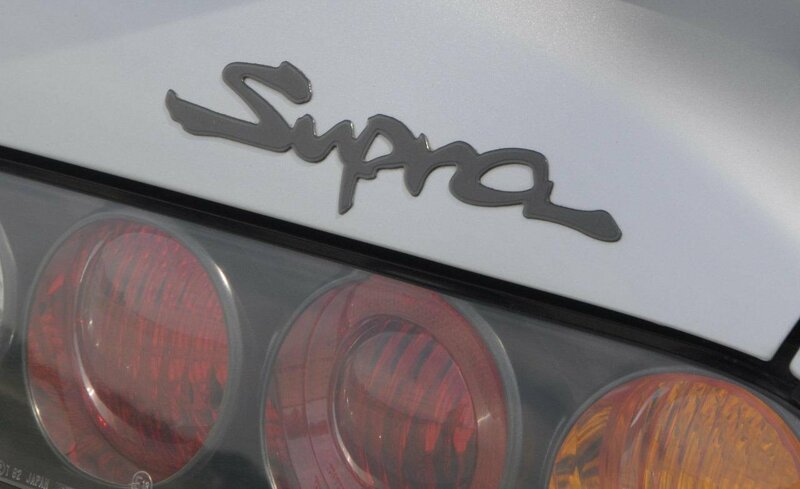 UK Supra Owner (or do you prefer classic lover, Audi xlove, Clio Williams, ExigeBoy or Mercman?)..... feel free to add it using the "add a car" link at the bottom of the page..... all we ask is that the spec and performance figures are from a bone stock car.